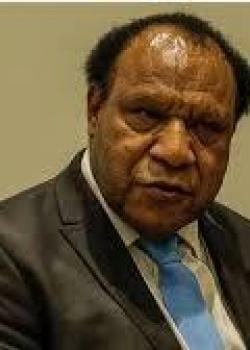 The government will consider opening foreign missions in the countries based on the trade, investment and financial situation, says Papua New Guinea Foreign Affairs and Trade Minister Rimbink Pato. Lagaip-Porgera MP Tomait Kapili had asked him about establishing overseas missions in Turkey and Israel. Pato said PNG’s foreign policy was to connect to all parts of the world including the Republic of Turkey and Israel. “During the visit of Prime Minister Peter O’Neill in 2013, we signed an agreement with the government of Israel which allowed Israeli citizens to come to PNG on a free basis as we are committed to visit that country,” Pato said. “That means that when we are seeking to establish diplomatic missions, embassies or high commissions or consul-general, there must be different aspects that must be considered. He said there was a decision made to establish a mission in Israel. However they have to look at the financial situation of the country, the positions in the context of trade and investment. Pato said running an embassy was an expensive business.